Congratulations on making it to a milestone in your married life. You plan on celebrating with family and friends - let us take care of the entertaining. We will work with you, your vision, your desired atmosphere and create your party. Experienced and talented event hosts/DJ's make sure your vision becomes reality. 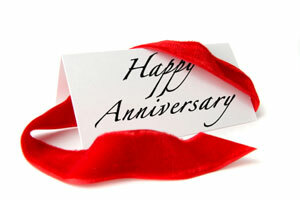 We will customize any anniversary package to suit your needs. Relive your married years with music starting with your original wedding song and moving through the years progressively to today. Every anniversary party is unique, so if this package is not exactly what you are looking for - please contact us today and allow us to create a customized information package for you.